Apple's iPhone slowdown controversy extended to China on Tuesday after a Chinese consumer group asked the tech giant for information about iOS updates that reduce the performance of older iPhones (via Reuters). The Shanghai Consumer Council has written to Apple and requested an explanation for the slowdowns and information about what Apple planned to do to rectify the problem. The consumer group, which is a non-government organization approved by the Chinese authorities, demanded a response by Friday, according to state news agency Xinhua. The council explained that its query came in response to consumer feedback that old iPhones became sluggish after upgrading the operating system to iOS 10.2.1. It said it had received 2,615 complaints about Apple products and services in 2017, compared to 964 complaints in 2015. Last month Apple confirmed that it introduced power management features in the update to improve performance and prevent unexpected shutdowns as the battery in the devices starts to degrade. The company faces an increasing number of lawsuits that either accuse the company of intentionally slowing down older iPhones, or of failing to disclose power management changes it made starting in iOS 10.2.1. For more information about the power management system that Apple implemented in the update, check out our frequently asked questions. Do they have difficulty reading? Apple have already done this. Apple should just copy and paste their last statement on the matter. I think part of the problem is the statement that Apple released. It introduced more questions than it answered. Plus it was pretty deflective. Batteries degrade over time? Well yes, yes they do. No one was questioning that. Why are Apple's batteries randomly shutting down? Why didn't they institute the program they have now? Why be so secretive when they were already thought to be obsoleting phones? 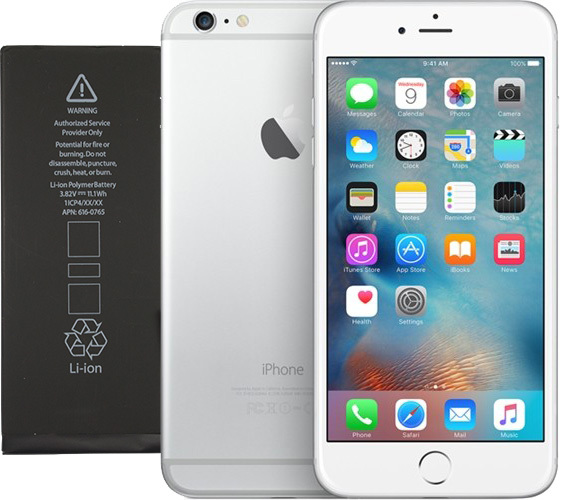 The situation was compounded by Apple refusing to replace batteries unless the phone passed a battery test. So yeah, people have questions. There's a subset of people who simply believe everything Apple says. Apparently, there's another subset who are less accepting. That group is a bit more vociferous. ...a simple Google search is obviously beyond their expertise. as IP6 user you would talk differently. This crap just half killed perf. of phones which were COMPLETELY FINE and without any reboots etc. before they introduced this trash. They just more than deserve it. I want to know why my 4S can’t type letters on a screen. It was lightning fast for the first 3 OSes. Then each update made it slower and slower. No one will convince me that this wasn’t done on purpose. No OS optimization for newer phones would cause a perfectly fine device to take 10 seconds per letter to type. My old VIC 20 from 1980 can type letters on a screen with no lag. Purposeful slowing of older devices has been happening long before this particular issue. The Shanghai Consumer Council has written to Apple and requested an explanation for the slowdowns and information about what Apple planned to do to rectify the problem. I mean. They gave a legitimate explanation. Not sure why people aren’t happy with it - it makes sense and is much preferred to shutdowns. That was not an explanation. That was a cover up press release. It was very carefully crafted with the help of management and lawyers. The explanation that battery degrades over time is not something new. We all know battery degrades over time. So Apple being Apple just tried to create more smokescreen with that release. The actual explanation should have been that people should upgrade every two years. And apple is trying to. Ake it easy to upgrade by slowing down the phone. That's the truth. We all know it. At this point, I just want to see how long Apple can keep going with this explanation. Yikes. They’re going to lose billions for selling defective phones. Here’s the proof: degraded iPads are not throttled. Apple released a statement saying it “only applies” to iPhones and that the iPads, regardless of degradation, are not throttled by the “fix”, or, what it really is: the recall workaround. They got caught. Simple as. Recall every iPhone after the 6 and make this right, Apple! The courts are going to suggest it anyway, once you start losing every lawsuit. That would probably be Tim.... you know where the old buck stops, right? Tim Cook will be fired shortly. I don’t expect him to make it to 2019, if very far into 2019. Consumer backlash hasn’t begun yet, once the media blows up with reports of Apple losing, or settling all of these lawsuits - he’s out. The United States House of Representatives also want more answers. They want to know what fix is in store other than the software throttling. France government is also involved. Three different countries GOVERNMENTS are involved now, as well as 34 separate law firms. LMAO!! @ anyone who thinks Tim isn’t being dismissed. A simple disclaimer stating performance may degrade based upon battery age would have worked wonders. I disagree. No one was questioning whether batteries degrade over time. That's a known fact. Also a known fact is that degradation doesn't normally cause sudden shutdown. More importantly, Apple's battery management algorithms are about mitigating that sudden shutdown, not simple battery degradation. So a simple disclaimer would have done nothing. Too many people are pointing to general battery degradation as the genesis of the problem. That ain't true at all. In addition, a no nonsense battery replacement program would also be valuable. I 100% agree. When you tell a customer, if your battery doesn't fail our test you may as well put your money back in your pocket... to paraphrase Jobs, you're doing it wrong. Because it is a lie. The phone is slowed down even when it's getting full power from the lightning port while charging on your desk or car.